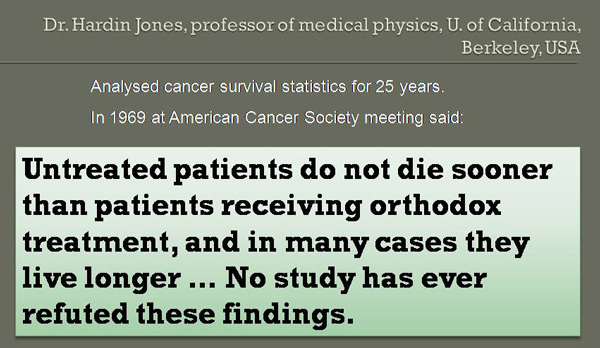 HomeCANCER STORY: Success & Hard TruthDie of Cancer But Don’t Die A Bankrupt! Die of Cancer But Don’t Die A Bankrupt! 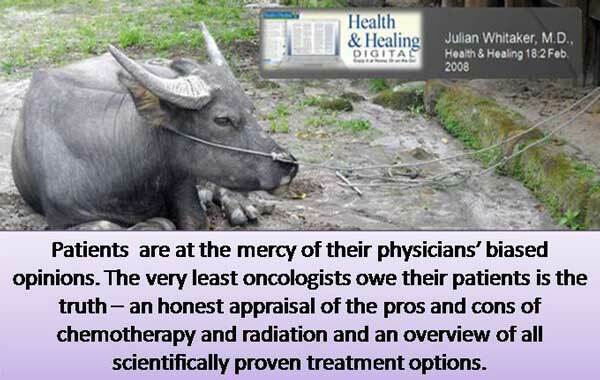 It is bad enough to be diagnosed with a metastatic kidney cancer. The situation gets to be real grim when you are told that for this type of cancer there would be no cure. But how do you take it if on top if this you were told to take a drug that cost 100 million rupiah a month that would NOT cure you? And you were scolded for not wanting to take the medication! What can you do if you were just a 33-year-old man earning 1.5 million rupiah per month? You have not accumulated enough savings to be able to transfer that life’s saving to the hospital’s account! Do people realize that with that amount of monthly income you still have to feed your wife and young children? How could this world be so cruel? Perhaps the gods of the cancer world has gone crazy? Let me share with you his tragic story. Wanto (not real name) is a 33-year-old man from a town in Central Sumatera, Indonesia. He and his wife came to seek our help on 16 November 2012. Typical of a young man, Wanto was a smoker – burning away a packet of cigarette a day for the past 16 years. He was also a drinker. Two months ago, Wanto had backaches that lasted for about two weeks. Then he had difficulty breathing. His chest was painful. Lobulated appearance of right hilum inferiorly suspicious of lung nodules. A large solid heterogenous mass occupying the whole left renal bed measuring 142.1 x 11.6 x 121.6 mm. Thrombosed left renal vein seen. Wanto was asked to undergo a biopsy. He declined. This procedure would cost about 8 million rupiah (RM 2,544.00). Then he was asked to take an oral drug, Sutent (sunitinib). Wanto also declined. According to Wanto’s wife a month’s supply of Sutent would cost 100 million rupiah (that is RM 31,807.00) per month. In addition, Wanto’s wife read about the various side effects of the drug. Wanto then consulted an herbalist and took his herbs. This cost about 10 million rupiah (RM 3,180.00) per month. Wanto was told to abstain from taking broccoli, cabbage, beans, toxic fish, meat, etc. (Note: This is partly opposite of what we tell patients at CA Care). Wanto was told by the herbalist that the herbs can cure his cancer. Initially he felt better after taking the herbs but after one and a half months he did NOT feel the herbs were helping him anymore. Wanto came back to Penang again on 14 November 2012. He went to the same private hospital that he went earlier. This time a CT scan was done. The results of the CT scan showed extensive well circumscribed nodules in almost all broncho-pulmonary segments of both lungs. The nodules measured approximately 4 to 25 mm in diameter each. Enlarged lymph nodes noted in both right and left perihilar regions and azygo-oesophageal recess. The nodules measured approximately 15 to 25 mm in diameter each. About two weeks later, 1 October 2012, another CT scan was done. The results showed multiple well defined nodules of different sizes in both lungs and aortopulmonary region. 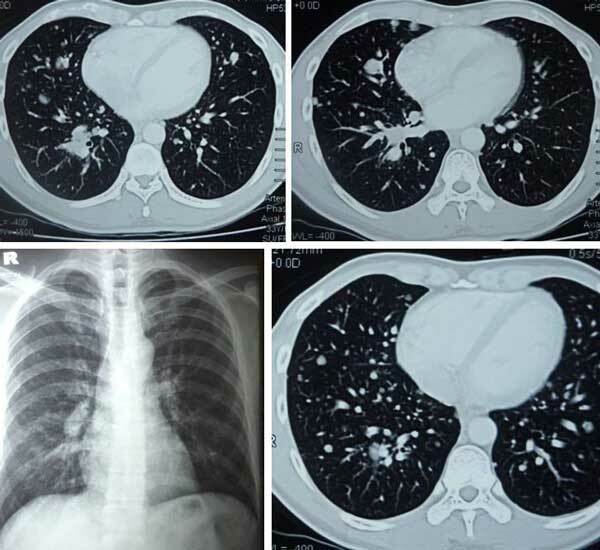 Large mass lesion seen in the left lung with paraaortic lymphadenopathy. Conclusion: Carcinoma left kidney with paraaortic lymphadenopathy, lung metastasis. Wanto and his wife came to seek our help on 16 November 2012. The following are excerpts of our conversation on that day. Chris: Was the doctor angry when you told him that you were taking herbs? Wife: Yes, he was angry and asked me why I did not follow his advice. C: But what did he want you to do? W: He insisted that I take sunitinib (Sutent). C: What was his reaction when you said you did not want to take sunitinib? C: Did you tell him that sunitinib cost so much money? W: Yes I told him that. But he said even though it is expensive I must still buy it! C: Oh, where are you going to get the money from? Rob a bank? You did not buy the medication but went to an herbalist instead. You told the doctor about this. Then you went back to the doctor again for more scan after a month or so. C: But was your husband getting worse? W: According to him (husband), NO. C: According to your husband, he was better after taking the herbs? Wife: Yes (while the patient nodded in agreement). C: What else do you want? CT scan: Once is enough! C: What is important for you to know is that there is no need to do CT scan all the time or too often. Once is enough. If the patient feels he is good means he is doing good. What else do you want? I am here trying to teach you commonsense. Go and do CT scan every month (every visit to the hospital) is not good for you! Do it once is enough! C: The herbalist told you not to take broccoli, cabbage beans, certain fish and meat. Did he tell you not to take sugar? W: No, can take sugar. He (husband) drinks Milo everyday! C: Oh no. Here we teach you differently. You need to avoid sugar, oil, table salt, dairy products and meat. Avoid taking anything that walks. That is the way we do here. C: You saw the doctor twice – first in October and a month later you went back to him again. You did the scan and the doctor asked you to take sunitinib. Okay, did he tell you that after taking that expensive drug, it is going to cure you? W: The doctor said sunitinib cannot cure his (husband) cancer. C: Cannot cure? Then why did he want you to take the medication then? W: Just to prolong his life. By taking the drug, he can live for another two years. C: Prolong life by two years – that was what the doctor said? C: Okay, extending life for two years but the medication is going to cost you 100 million rupiah per month. If you live for two years, that is going to cost a lot of money. But that drug cannot cure? W: Yes, cannot cure. There is no guarantee. C: In addition to this, there are a lot of side effects. How would you know that after taking the drug for a few months, he may even die? C: So, what is the meaning of all these? You need to understand that correctly. Even you take the drug it is not going to cure you. You have been clearly told about this. Everyone who comes to see me also wants to find a cure – wanting me to cure him/her. But in a serious condition like this there is nothing anybody can do – especially in your case, where the cancer has already spread extensively to the lungs. I have read many medical books and I have not come across anything that says metastatic kidney cancer can be cured. To ask you to take medication – that is fine. After all somebody wants to sell his medicine and make some profit out of it. But the point is, there is NO cure. And in addition you have to contend with all the severe side effects. Then you have to find 100 million rupiah a month. Where are you going to find that kind of money? In Indonesia, how much does an ordinary person with an ordinary job gets paid? W: A worker earns about 1.5 million rupiah a month. C: Oh, only 1.5 million? So you need to have a lot of people earning for him, to make 100 million rupiah. C: The solution provided for you is really NOT a solution at all. If you have to spend 100 million for a month and then it cures you, that is fine. W: Ya, if it is only for a month that is okay. C: But that is not so! W: You know doc. After the CT scan the doctor wanted to do a biopsy. My husband refused. But the doctor insisted on doing the biopsy. It was going to cost 8 million rupiahs. Actually I wanted to do the biopsy and even take the medication – sunitinib, but my husband just refused to do the biopsy. I was the foolish one. In fact, before going home, I planned to buy the medication. But he (husband) refused. C: Your husband refused the medication? Let me tell you this truthfully. At this point, you need to face reality. W: I was under pressure. The doctor said the longer we wait the more the cancer is going to spread and spread and spread. He said: Your husband will not have any more hope. C: But if he takes the medication, would there be any hope? W: The doctor said with the medication the cancer will keep quiet. C: Keep quiet for how long? How many months or years? But the doctor said your husband will eventually die anyway. C: You take sunitinib and it cost you 100 million per month and the doctor said you can live for two years. If you go back and go to the bank and ask for a loan – can you ever repay that loan? Can pay back the bank? C: I know. It does not make sense – meaningless – having to pay so much for a drug that does not cure. What is the purpose? On top of that you suffer the side effects. Do you understand this? So yesterday you said you wanted to buy the drug – what was your expectation? You were expecting a cure? C: And the doctor had already told you that there would be no cure. I want you to understand this first before we go further. Misled & Misinformed – Herbs Can Cure Cancer! C: Then you went to see an herbalist and you paid for his herbs – 10 million rupiah per month. At least that was cheaper! What did the herbalist tell you? Did he say his herbs were going to cure your husband? C: Can cure? Are you sure that he said can cure? What does it mean by can cure? Do you understand him correctly? Some people say – take herbs today, tomorrow you feel well and he is cured. But the day after tomorrow the patient is dead. That is still cure! You need to understand what cure means. Do you really hear him correctly when he said he can cure your husband? C: You have seen your medical doctor and he told you your husband cannot be cured. Now this herbalist said your husband’s cancer can be cured. Whom do you believe now? W: I don’t believe the herbalist. That is why I come to see you doc.! C: You need to think properly. Don’t be stupid. The herbalist said he can cure, the doctor said no cure. Ask – who is telling the truth? Do you want to know the real answer? I want to say this as frankly, honestly and directly to you – there is no medicine in this world that can cure cancer – even more so for the kind of cancer your husband has. Don’t be shocked – but you have already been told by the doctor anyway. 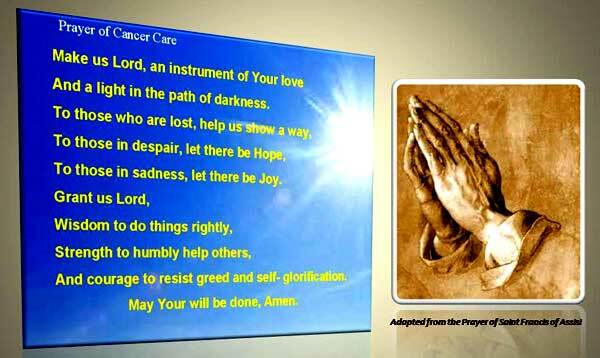 In my experience helping cancer patients for the past 16 years, and I have read most of the books on cancer that are found in this world, I must say I have not found any medication that can totally cure cancer. So if you come to me and ask for herbs that can cure your cancer then I must say to you: NO, I don’t have any. So don’t have the wrong expectation when you come here. You have gone to see this herbalist and you have taken his herbs for about one and half months and he promised you a cure. Why don’t you go and see him again and take more of his herbs? He promised you a cure, but when you come to see me I say I cannot cure you! C: To all those who come and see me, I cannot promise you a cure. I tell them this: After you take the herbs, you need to take care of your diet and if you feel better – can sleep, can eat, can more around – don’t ask for more! This is because I don’t know of anybody in this world who can cure your cancer. But if you want to live longer without much suffering or problem, you need to change your lifestyle, your attitude and your diet. All these must change! By doing these, I hope you can live a bit longer without much suffering. If we can achieve that, I have done my job. Don’t ask for more. C: Who ask you to come here? W: I have been wanting to come and see you for a long time already but I did not know where to find you. Now, this uncle brought me here. Wanto’s wife was told that sunitinib would cost 100 million rupiah per month or about RM 30,000. That is extremely expensive. I think she has been misquoted. The first time I knew about sunitinib some years ago, the cost was only about RM 20,000. I believe it is cheaper now? Nevertheless, by any standard it is still expensive to the ordinary Indonesians who earn about 1.5 million rupiah (RM 450) per month. They still need to burst their bank account to pay for such medication! Let me be quick to say – this is not about money alone. Ask this question, What can I get in return? Cure? Not at all. Prolong life – probably, but for a few months. The doctor quoted the good side – two years of life prolongation which may be rare. The norm is just a few months. Is it worth it? To the wealthy, every minute of life is worth all the gold he has but to the poor it may mean accumulating debt for the next few generations to pay! The all too common practice of administrating a new, marginally beneficial drug to a patient with advanced cancer should be strongly discouraged. In cases where there are no further treatment options, emphasis should be first on quality of life and then cost. For therapies with marginal benefits, toxic effects should receive greater scrutiny. 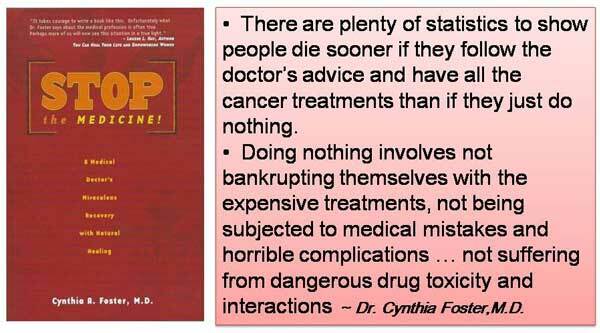 We must deal with escalating price of cancer therapy now. The current condition cannot continue … the time to start is now. Common side effects of SUTENT include: Skin and hair may get lighter in color, Tiredness, Weakness, Fever, Gastrointestinal symptoms, including diarrhea, nausea, vomiting, mouth sores, upset stomach, abdominal pain, and constipation; Rash or other skin changes, including drier, thicker, or cracking skin; Blisters or a rash on the palms of hands and soles of feet; Taste changes; Loss of appetite; Pain or swelling in your arms or legs; Cough; Shortness of breath and Bleeding, such as nosebleeds or bleeding from cuts. Serious liver problems, including death. Heart problems—heart failure and heart muscle problems (cardiomyopathy) that can lead to death. Abnormal heart rhythm changes— dizzy, faint, or abnormal heartbeats. Bleeding sometimes leading to death – Painful, swollen stomach (abdomen), Bloody urine, Vomiting blood. Headache or change in mental status. Jaw-bone problems (osteonecrosis)—Severe jaw bone problems may happen. Hormone problems, including thyroid and adrenal gland problems. Tiredness that worsens and does not go away. Feeling nervous or agitated, tremors. 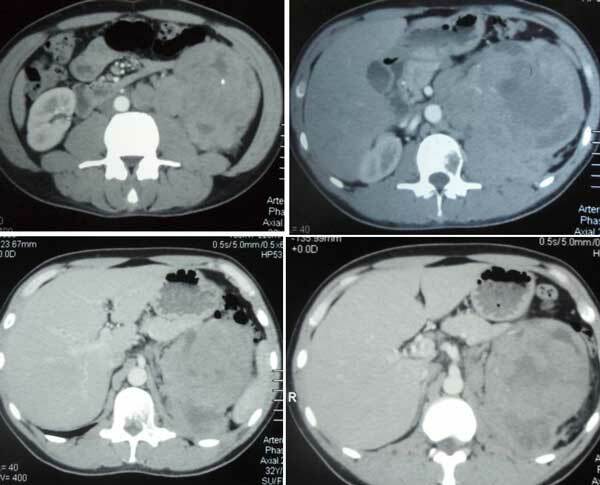 2.Kidney Cancer Part 2: Two Oncologists Two Different Opinions – Is Sutent indicated in this case? When I was confronted with this case, I could not help but remember our reason-to-be. Wanto and his wife came to us in desperate need of help. We at CA Care should do our best to help the best way we know how. So, help us Lord. My first task was to tell Wanto and his wife the truth but without depriving them of hope. I asked them to face reality – no use burying their heads under the sand. Medically there is no cure for his cancer. Therefore for someone to tell him that herbs can cure his cancer is indeed tragic. It sounds like the herbalist is after his money rather than his cancer. On the other hand to offer a solution whereby the drug cost so much money but does nothing much to cure is useless. It is bad enough to get cancer but it would be even worse to make a person bankrupt while he is still alive – perhaps leave a pile of debt that may require even his grandchildren to repay. What good is that? While at CA Care we clearly tell patients our herbs cannot cure their cancer, but we also tell them they need not have to give up. We don’t want to raise unrealistic false hope but we also don’t want to extinguish hope. At CA Care we have numerous cases of terminal cancer – the doctors say: You only have 2 or 3 months to live. With our therapy, many of these patients go on to live for years, not months! We are optimistic about this because we have seen many successes. It really sadden me to see that in the face of inability-to-do-anything-meaningful patients are pressured into following medical advice even if it does not sound reasonable. Indeed Mrs. Wanto felt the pressure and wanted to do what she was asked to do. Amazingly, Wanto being the patient himself kept a cool head! It is human nature that once told that we got cancer we go into a frenzy – madly rushing here and there believing that we must get things done quickly. There is no need to behave like that. I always tell patients: Don’t panic. There is no need to rush. You did not get cancer yesterday. The cancer has been in you for years already – only that you don’t know that it is there. So take it easy and calm down. At CA Care we ask you to relax and reflect to understand what has gone wrong. Then we sit down with you to plot your cancer journey using as much common sense as possible. Stamatis Moraitis, a 60-plus-year-old man living in the US was diagnosed with lung cancer. Nine doctors confirmed the diagnosis. He was given 9 months to live. This was in 1976. Moraitis declined to seek the aggressive cancer treatment. He and his wife decided to return to Ikaria – his native Greek island to live out the rest of his life. He figured a funeral in the United States would cost thousands, a traditional Ikarian one only $200, leaving more of his retirement savings for his wife, Elpiniki. Moraitis said: I might as well die happy. With good, clean fresh air, simple but healthy diet, gardening, good company and care-free life Moraitis got well. About 25 years later Moraitis returned to the US hoping to see his doctors again and to see if the doctors could explain it to me what had actually happened. Moraitis said: My doctors were all dead. This is indeed an inspiring story that we can learn from. I am glad that I have set up CA Care! Doing nothing is not about you not doing anything to help yourself. When you come to CA Care we teach you to live a “happy life” to take care of yourself – to take care of your diet, change your life style and mental attitude, take herbs and seek blessing from Above. All these, could probably make your remaining time on earth more meaningful. And you can also be sure you would not end up being a bankrupt when you go home!